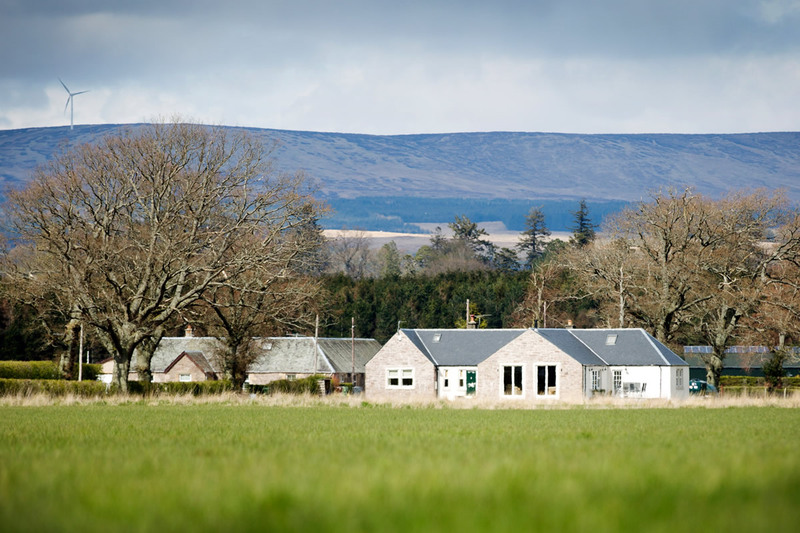 Self Catering Holiday Accommodation near Stirling, the heart of Scotland. 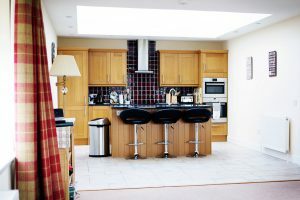 Tigh Mor is a large, stylish holiday home, comfortably sleeping 8, in a country setting and yet only a short drive from the historic City of Stirling. 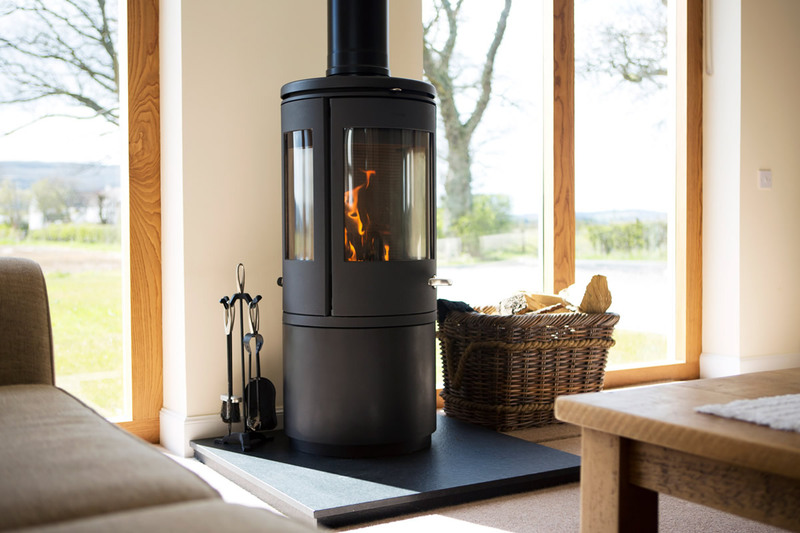 Tigh Mor is a modern, four bedroom, four bathroom house. Comfortably sleeping 8, a cot and camp bed can be added to accommodate extra guests. 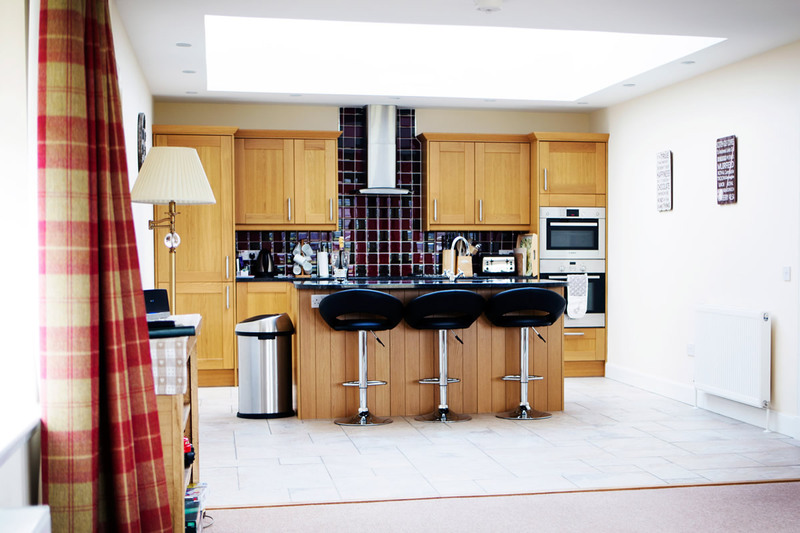 With all accommodation on one level, wheelchair access, private patio and garden, plenty of parking space and Wi-Fi throughout, it is ideal for everyone! 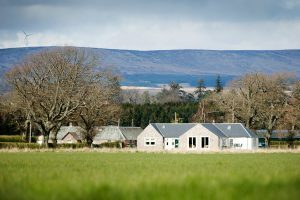 Tigh Mor has stunning open views over the owners farmland, across the Carse of Stirling onto the hills and mountains beyond. It has excellent road links, with easy access to the motorway and is absolutely ideal for a quiet, relaxing holiday or as the perfect base for touring the local area and further afield. The historic City of Stirling is just a ten minute drive away, Edinburgh our capital city and Glasgow our largest city are both under an hour away by car or rail. Blair Drummond Safari and Adventure Park is just along the road, and we are a short drive from Loch Lomond and Trossachs National Park. Choose our accommodation and you will be assured of a personal and friendly welcome from the owners Andrew and Eleanor Graham. See our five star excellent rating on TripAdvisor.